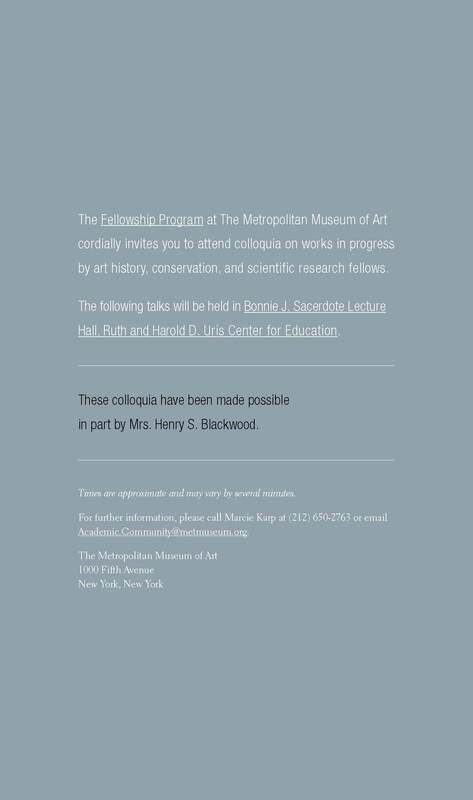 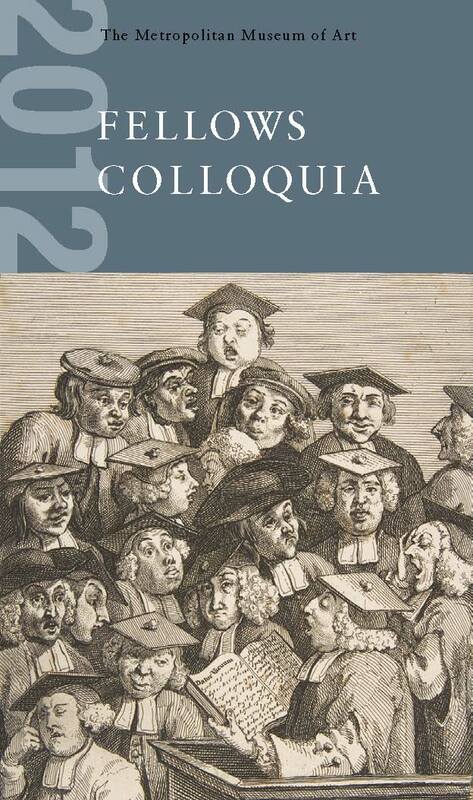 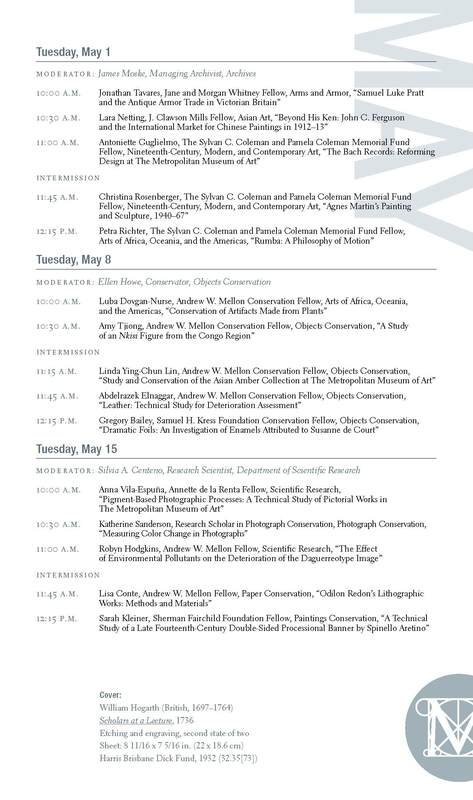 Here’s an opportunity to see some of the recent scholarship being conducted at The Metropolitan Museum of Art’s annual Fellows Colloquia. 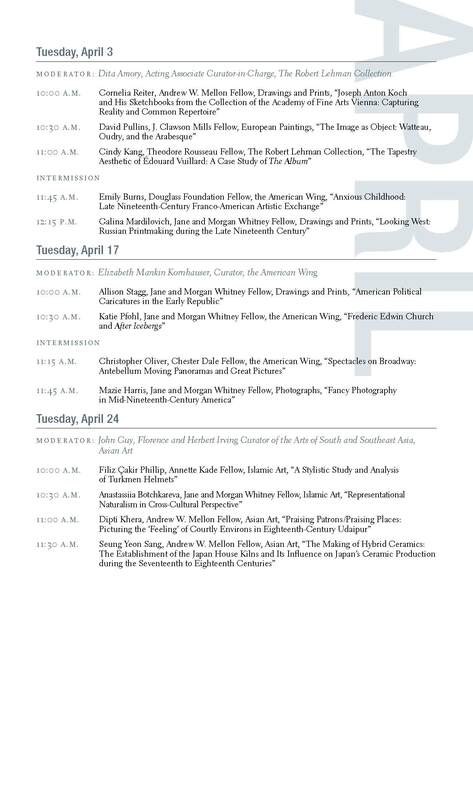 Every Tuesday morning from March to mid-May our diverse group of scholars will gather in the Bonnie J. Sacerdote Lecture Hall to present short papers on their research. 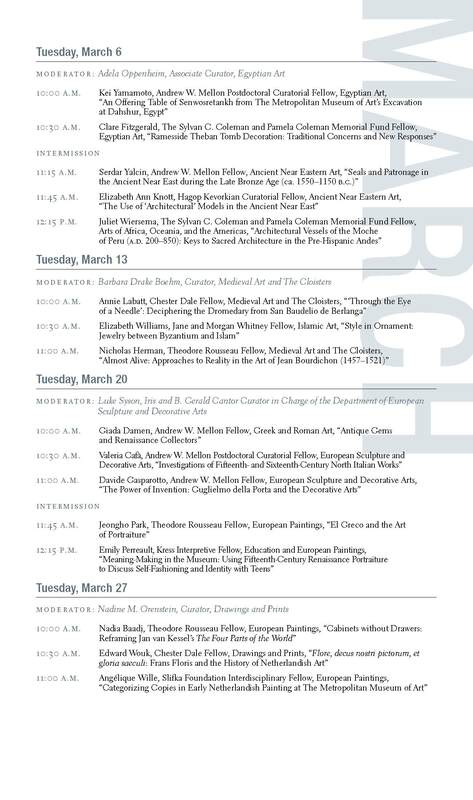 Topics range from the ancient world to modern painting and explore the art and culture of five continents.